My approaches are Cognitive and Behavioural Therapy (CBT) and Mindfulness Training and I specialise in the treatment of Stress, Anxiety, Obsessional Disorders, Perfectionism and Self-esteem, relationship difficulties and well being. CBT hypothesises that the emotions we experience and the way we behave are determined by the way we think. If our perception of the self, others and the world is negative, we will experience psychological disturbances in the form of anxiety, stress, depression, low self esteem and so on, which will then have a negative impact our lives. CBT can help us identify and understand our habitual negative patterns of thinking, behaving and feeling and teaches us skills and techniques to break free, cope better with difficulties and regain a healthy sense of self. Mindfulness Training shows us that we are mostly on automatic pilot, reacting to perceived internal and external pressure with little awareness of the choices we have. Mindfulness training teaches us skills and techniques to become more aware, more present with our experiences and less reactive. This teaching helps in managing and letting go of negative emotions, thoughts, behaviours and physiological symptoms as well as fostering well being, creativity, wisdom and conscious living. I became a Chartered Counselling Psychologist (Bsc, MSc, Cpsychol) in June 2005 and I am registered with the HCPC. I began an ongoing training as a Mindfulness Teacher in April 2007 at the Centre for Mindfulness Research and Practice at Bangor University. From 2001 to 2005, I worked at the Priory Hospital in North London as a trainee CBT therapist, where carrying out assessments, facilitating and co-facilitating specialised CBT groups for OCD, BDD, Social Phobia, Depression and other anxiety disorders and Individual CBT Therapy. From 2006 to 2008, I worked at the Psychological Therapeutic Services, Barnet Mental Health NHS Trust as a Chartered Counselling Psychologist, carrying out assessments and providing individual and group short-term individual CBT therapy to a varied client group, presenting with a wide range of mild to acute mental health problems. 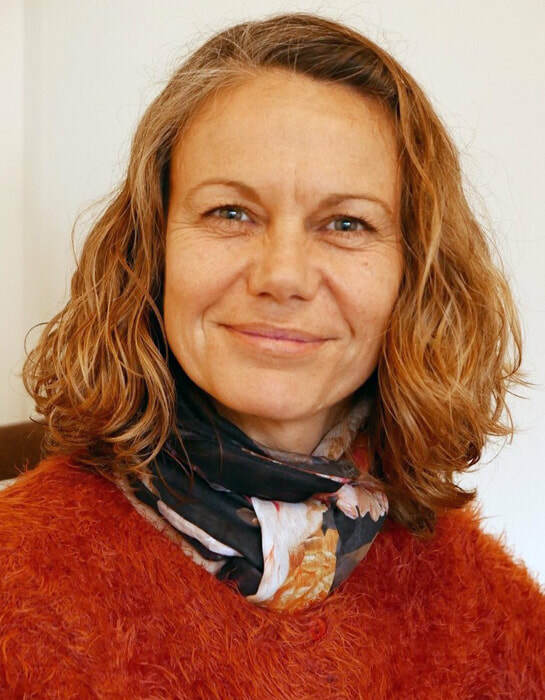 Since 2009, I have dedicated my time to my private practice in London, working with individuals with a range of mental health difficulties and running corporate well being workshops, using Cognitive and Behavioural Therapy and Mindfulness Training. My aim is to create a safe environment where any difficulties can be expressed and addressed therapeutically. I have chosen CBT and Mindfulness as my primary treatment approaches because they compliment each other beautifully. They are both evidence-based approaches and they are extensively researched. The National Institute for Health and Care Excellence (NICE) recognises both approach as effective treatments for Anxiety and Depression. When it comes to emotional well-being, CBT focuses on cognitive and behavioural processes and Mindfulness is about body awareness. Both approaches teaches us how to accept what we cannot control and support us in living an authentic and meaningful life based on our individual value system. Throughout the therapeutic process, I will support you in identifying areas of difficulties and treatment goals and teach you simple skills and techniques to foster emotional well being in all areas of your life so that you can be your best self. ​If you would like to discuss your particular difficulty and to find out how we could work together, get in touch to book a free telephone consultation.